Those in the market for a bold midsize sedan may be intrigued by the two models in this 2019 Nissan Altima vs 2019 Toyota Camry comparison. 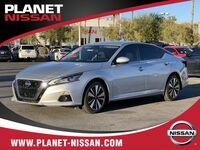 The 2019 Nissan Altima is an all-new model that offers new engine options and enhanced safety features. The 2019 Toyota Camry is also a relatively new model. While the 2019 Toyota Camry will continue being available with three powertrains (a 2.5-liter four-cylinder rated for 203 horsepower and 184 pound-feet of torque; a 3.5-liter V-6 offering 301 horsepower and 267 pound-feet; or a hybrid variation on the 2.5-liter), the Nissan Altima will have two new engines for 2019. Its base 2.5-liter four-cylinder will offer 188 horsepower and 180 pound-feet of torque, while the all-new 2.0-liter turbocharged four-cylinder will deliver 248 horsepower and 273 pound-feet of torque. Those numbers are comparable to a luxury powertrain, or even the V-6 engine that it replaces. $1500 Nissan Customer Cash. Cannot be combined with special APR. Applies to select models, please see Dealer for details. 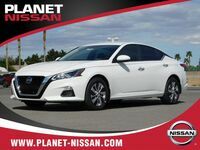 While both of the model in this 2019 Nissan Altima vs 2019 Toyota Camry comparison offer advanced driver assistance features, we like the variety of safety options that discerning shoppers can get with the 2019 Nissan Altima. 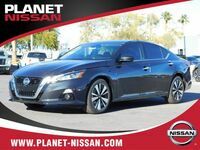 The Nissan Safety Shield 360 system that is standard on upper trims of the 2019 Nissan Altima includes Automatic Emergency Braking with Pedestrian Detection, Lane Departure Warning, Blind Spot Warning, Rear Cross Traffic Alert, and Rear Automatic Braking. While the Toyota Safety Sense system comes standard on the 2019 Toyota Camry, it includes only the Pre-Collision System with Pedestrian Detection, Lane Departure Alert with Steering Assist, Automatic High Beams and Dynamic Radar Cruise Control. Features like blind-spot monitoring are available, but advantages like Rear Automatic Braking (which can take some of the anxiety out of parking in a confided spot) are not available at all. 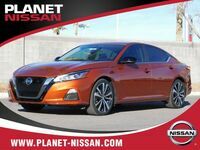 If you would like to learn more about the 2019 Nissan Altima in Las Vegas NV, or would like to schedule your test drive for this all-new vehicle, contact a member of the Planet Nissan sales team today.